Are Record, Super Record and Chorus cross compatible. I have 11 speed Chorus, 2010-14 on the Nago. I am picking up a 2010-14 Super Record Ergos and rear DR. What front derailleurs will work with the Super Ergo/shifters? Googling not convinced me of accurate data. And I don't want to spend on Super Front DR and have it not work. In fact, I'd rather not have the carbon FD, they all seem to come apart in time. What metal DR will work? Yes. The only issues arise with the the lower level groups. In 2015 Campy changed the front shifter to eliminate the trim click, which requires a more precise setup. Ultra shift to power shift you mean? I think the ultra front and the 5 arm spiders are what keeps me off the next gen now that I am moving in this direction. The 4 arm cranks I find objectionable personally. But I usually get used to the next style cranks after a while. ;) I dilike the 4 arm shimano for a while too. All the 11-speed should be compatible. My Pegoretti is all SuperRecord except for the front derailleur, which is Record. For the reason you mention. I think you can use any FD with the older 11-speed Campagnolo. I have some c.2011 11-speed Chorus "Ultra-shift" shifters, and there are multiple clicks both up and down on the front shifter, so it will basically shift anything. I'm using mine with a Shimano MTB FD, as I'm using small chainrings. Q: What are the compatibilities between 2009-14 mechanical systems and their 2015 counterparts? A: 2015 Front and Rear derailleurs and shift levers, ErgoPower or bar-end must be used in conjunction with each other. 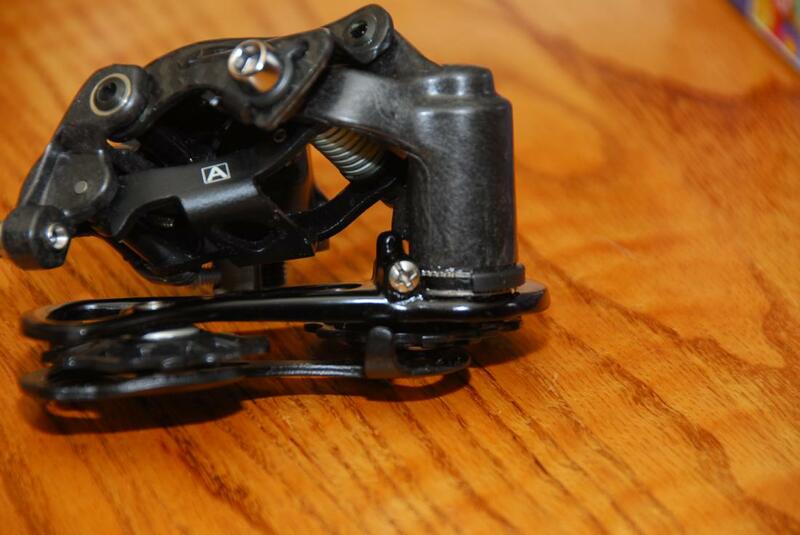 There is no compatibility between 2009-14 shifters and 2015 or later derailleurs. "Ultra shift to power shift you mean?" Pretty sure this is the difference. 'power' shift lost the micro indexing 'as it were' on the front. Are you using doubles with your example Nick? The guy I got the SupRec Ergos from said he had used up to a 34 cassette [uses shimano wheels/cassette] with this DR. And it wore the pulley really fast. So the RD has new stock pulleys on it. 32 on Campy Record/SR depends mostly on hanger length, some work, some don't.